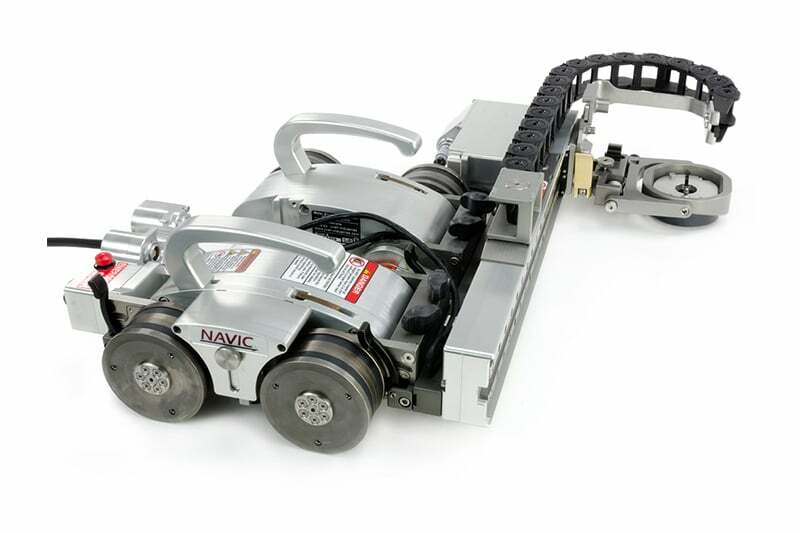 The Navic is a modular, motorized, steerable scanner designed to carry multiple attachments used in various scanning and inspection applications. The remote operated scanning platform is capable of circumferential scans from 70 mm (2.75 in) minimum OD to flat surfaces and longitudinal scans from 305 mm (12 in) minimum OD to flat. 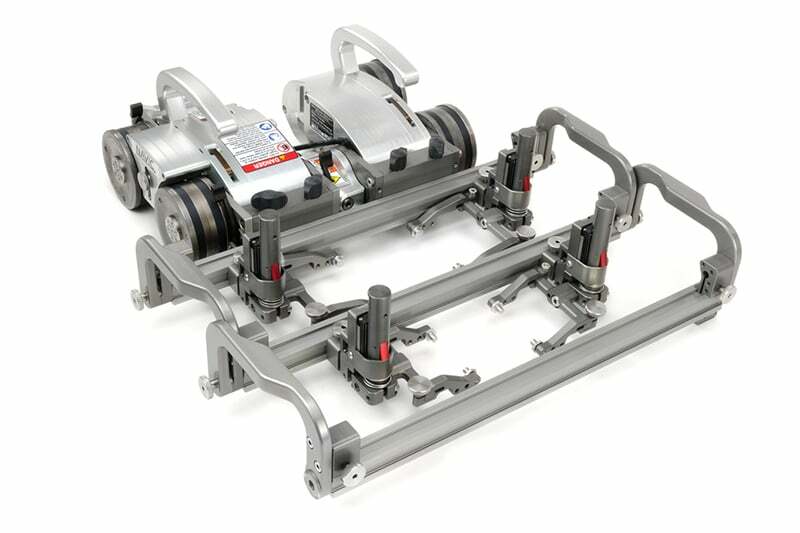 Its joystick-controlled steering allows for smooth and accurate weld tracking. The modular design of the Navic allows it to carry multiple attachments used for various scanning and inspection applications. 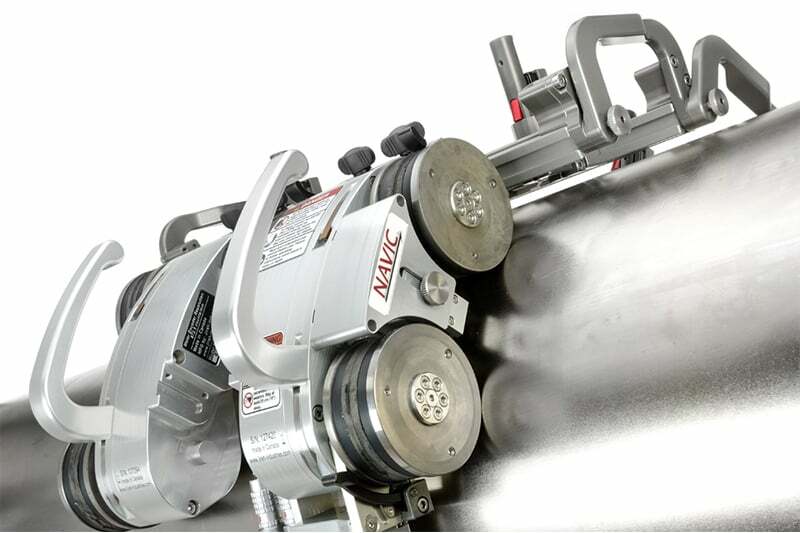 Low Profile Design: The Navic requires a radial clearance of 70mm (2.75”) on pipes under 200mm (8”) OD and 81.5 mm (3.2”) on pipes over 200mm (8”) OD, which allows for inspection in limited access applications. Scan Versatility: The Navic can facilitate circumferential scans on pipes as small as 70mm (2-3/4”) OD and 610mm (24”) ID, as well as longitudinal scans on pipes as small as 305mm (12″) OD. Scanning of flat surfaces is also possible. Contact us to find out more about the Navic Corrosion Mapping Scanner or any of our other Phased Array & ToFD equipment, or request a quote online. 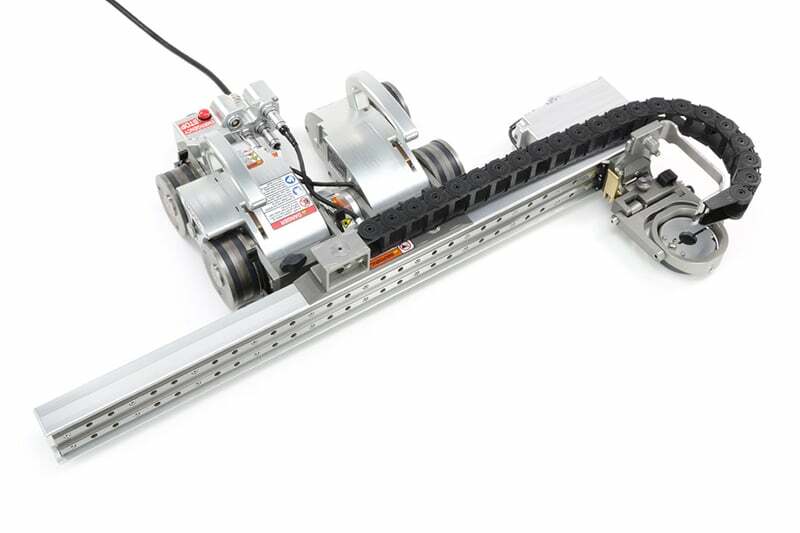 The Motorized Raster Arm adds two-axis automated scan capabilities to the Navic and Skoot systems. 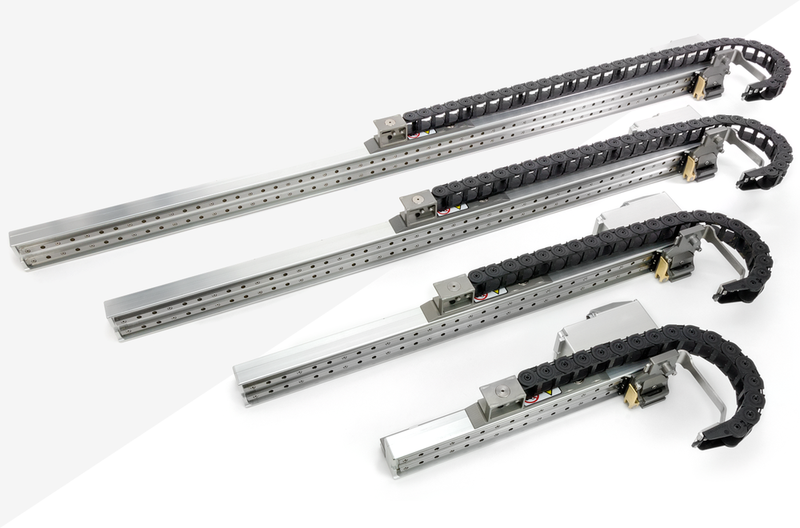 The Raster Arm, available 300 mm (12 in), 600 mm (24 in), 900 mm (35 in), and 1160 mm (46 in) lengths, can carry many different probes for various types of corrosion scans, including conventional 0° transducers, phased array probes (HydroFORM, DLA/DMA, 5L64, etc. ), and more. The handheld controller included with the Navic and Skoot is used to setup all parameters of the scan (speed, index, stroke, etc.). The CXG007 – Vertical Probe Holder Frame adds weld scanning capability to the Navic and Skoot motorized scanners. 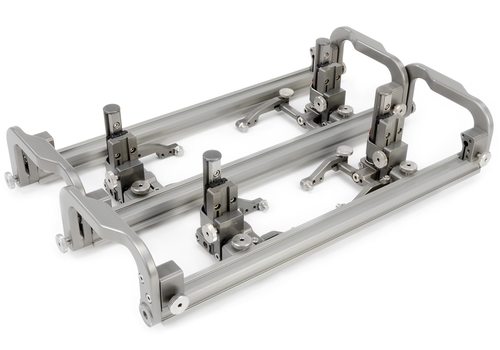 The frame uses (4) vertical probe holders (2 Phased Array and 2 TOFD) on a compact weld-scanning frame. The CXG013 – Pivoting Probe Holder Frame adds longitudinal weld scanning capability to the Navic (> 12 in. OD) and Skoot (> 30 in. OD) motorized scanners. The CXG013 carries (4) vertical probe holders (2 Phased Array and 2 TOFD). Combine the frame with a laser guide (sold separately) by adding the laser guide pivot mount to the order. 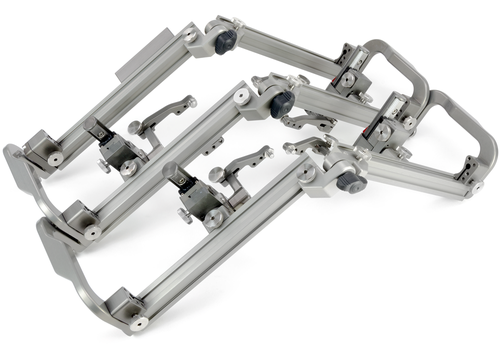 The CXG004 – Low Profile Probe Holder Frame adds weld scanning capability to the Navic and Skoot motorized scanners. 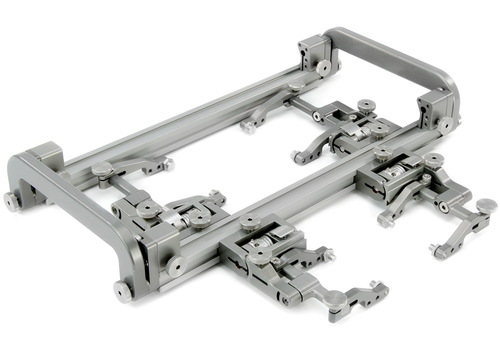 The CXG004 frame uses (4) slip joint probe holders (2 Phased Array and 2 TOFD). The low-profile design of the frame allows for scanning on all diameters where radial clearance is limited.